Is it possible to live without food? In 1923 Therese Neumann, a nun in Southern Germany, stopped eating and drinking. Apart from the wafer given at Mass, she did not eat again, despite living for a further 35 years. Other similar cases have been reported over the years - often holy men from the East - and have taken on something of a mythical status. However, they remain obscure enough to be brushed aside by modern scientists. Michael Werner presents a new type of challenge to sceptics. A fit family man in his 50s, he has a doctorate in Chemistry and is the managing director of a research institute in Switzerland. In this remarkable account he describes how he stopped eating in 2001 and has survived perfectly well without food ever since. In fact, he claims never to have felt better! Unlike the people who have achieved this feat in the past, he is an ordinary man who lives a full and active life. Michael Werner has an open challenge to all scientists: Test me using all the scientific monitoring and data you wish! In fact, he describes one such test here in which he was kept without food in a strictly monitored environment for ten days. Werner also describes in detail how and why he came to give up food, and what his life is like without it. 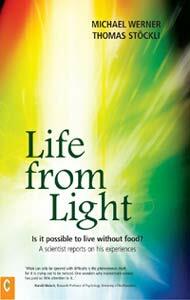 This book features other reports from those who have attempted to follow this way of life, as well as supplementary material on possible scientific explanations of how one could 'live on light'.